A History of Medical Bacteriology and Immunology provides the account of the history of bacteriology from the year 1900 to 1938. 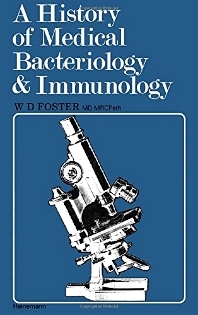 This book presents details about the discovery of the important pathogenic bacteria of man, of how they were shown to be causally related to disease, and of the use of these discoveries in the diagnosis, treatment, and prevention of disease. Other topics discussed include the development of the germ theory of infectious diseases; contribution of Louis Pasteur and Robert Koch to medical bacteriology; and discovery of the more important human pathogenic bacteria. This text also discusses the scientific basis and practical application of immunology to medicine; main developments in bacteriology during the early 20th century; and chemotherapy of bacterial disease. This medically oriented text is beneficial for students and individuals conducting study on medical bacteriology and immunology.